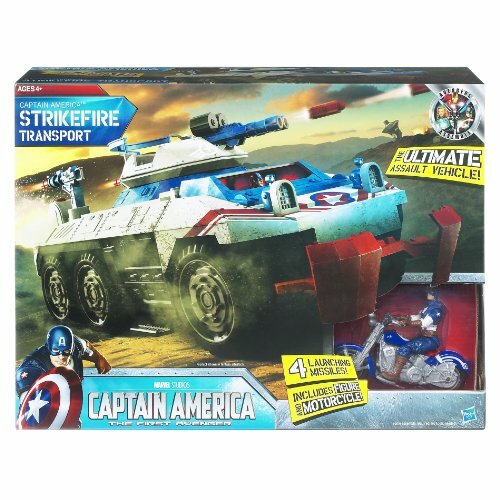 Hasbro Marvel Captain America Ultimate Vehicle is an ultimate assault weapon. Age: 4 years and up. 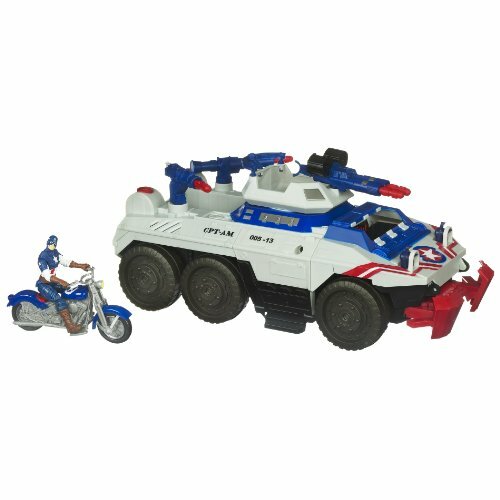 Why You'll Love It: Only the ultimate vehicle will do for the ultimate crime fighter. 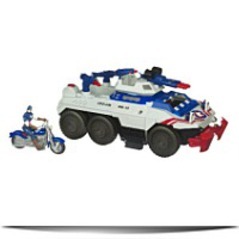 FeaturesEquipped with overwhelming firepower, bulletproof armor and a effective motorcycle for quick getawaysKids can launch 4 missiles when enemies come nearerIncludes1 figure1 shield4 missiles3 launchersMotorcycle vehicle It's equipped with overwhelming firepower, bulletproof armor and a robust motorcycle for quick getaways, which makes it unstoppable.